Are you upgrading your appliances, finishing your basement, renovating your kitchen or completely renovating an older home, if so we can help. Panel Upgrade Experts are able to handle any residential electrical renovation project no matter how large or small. We have years of experience designing, installing and updating residential electrical systems. 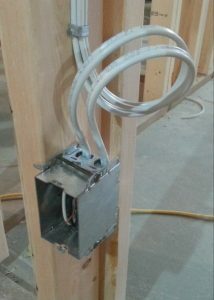 Old, poorly installed or over extended electrical systems can cause problems with your upcoming renovation project. We are here to help. Call us today to discuss your project and see how we can help. Panel Upgrade Experts can renovate, re-wire or repair all the electricity in your home. We have worked on many residential renovation projects all over Calgary. We pride ourselves on making sure the job is done right the first time, the worksite is as neat as possible and treat your home renovation as if they were our own. Adding hot tubs, induction cook tops.